Nebulón, is a social entrepreneurship initiative that obtains drinking water from fog, becoming an innovative and self-sustaining system to supply the vital liquid to communities in rural areas that do not have access to this resource. 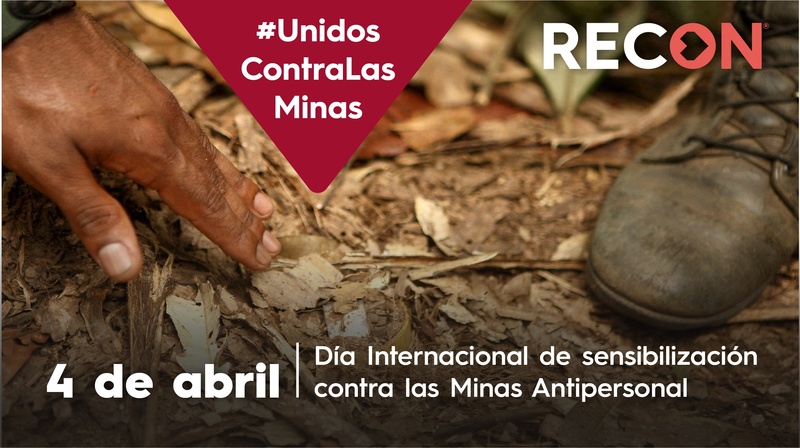 In the RECON 2017-2018 contest it was chosen as the best social entrepreneurship initiative in the country, in the environmental category; its creator is currently working to expand his project throughout the country, his most ambitious goal is to find a way to obtain drinking water from this system in La Guajira. RECON spoke with Jonny Umaña, a young university student and social entrepreneur who, from an academic research project, managed to create Nebulón, in order to solve a social problem that affects millions of people in the world: water supply. RECON: Who is Jonny Umaña? Jonny Umaña: I am a young entrepreneur who likes social work and is dedicated to improving the environment through the application of civil engineering and social entrepreneurship. I am from Bogotá, I am 21 years old, eighth semester student in civil engineering at the Universidad la Gran Colombia. REC: How and why does Nebulón arise? JU: Nebulón emerges as a response to the problem of drinking water in the world, it begins in classrooms as a research initiative. 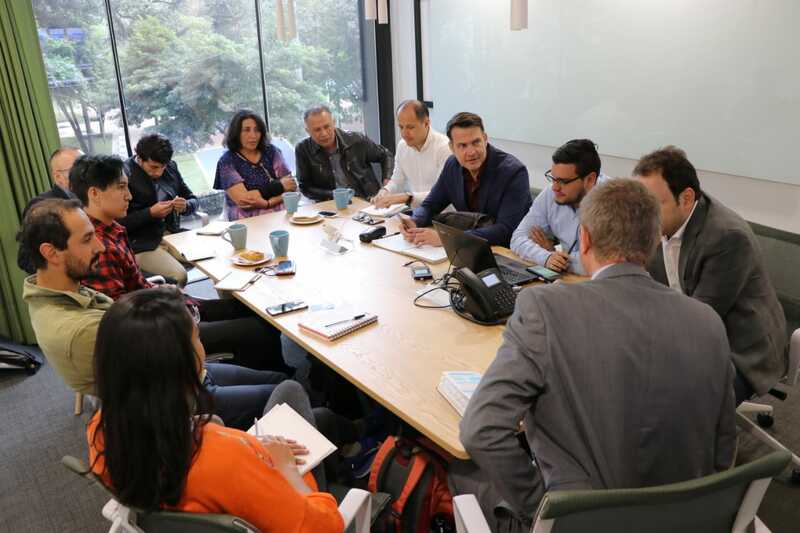 I began to observe what they do in other countries such as Chile, Peru and Bolivia to obtain water from the fog, this is how the idea of adopting the technique was born, but also of improving it and making it more efficient, to give many communities the opportunity to have this resource. REC: What is a Nebulon? JU: A nebulon is a fog trap that uses a three-dimensional system, that is, it consists of three surfaces of mesh to trap the fog and turn it into water, pouring the liquid into a storage tank. REC: What makes Nebulón innovative in the face of other systems? JU: It is precisely the three-dimensional system; in the other countries they only have one mesh screen, Nebulón has three, which allows us to capture more fog and make it more efficient. In addition, the three-dimensional system allows it to have more stability and makes it easier to install; I created and designed the structure. REC: How much time does it take to install a Nebulon and why is it easier to install than a fog trap? JU: Installing a Nebulon takes three hours maximum, while the fog catcher takes between 2 to 3 days. These have two poles and must be more resistant, therefore, use material to hold it, while Nebulon is stronger and stable and does not require tensors, the third post avoids that. REC: How much water does a Nebulon produce? JU: With a Nebulon of 4 square meters of area we obtain 28 liters of water in 24 hours, in an optimal area of fog, altitude, temperature and humidity. Nebulón wants to easily reach the most remote communities, that’s why it’s a small prototype made up of three poles, a mesh 35% shade, three gutters and a storage tank. REC: What is the cost of a Nebulon with these characteristics? JU: The cost is approximately $ 650,000, Unlike fog collectors in other countries, which can cost up to 3 million pesos. REC: Is the water produced by a Nebulon drinkable? JU: The one that we have produced in rural areas, yes, because in the rural part the fog is very clean given that the pollution is lower. We have done tests and studies of PH, color and turbulence and the results have shown us that the water obtained is drinkable. The mesh that traps the fog, makes a purification process that helps make it cleaner. REC: Can a Nebulon be installed in Bogotá and consume the water it produces? JU: It has not been done yet, you can install and produce water, what we do not know is if it could be suitable for human consumption, due to the high levels of contamination, which is why a deeper study is required. REC: What is the process for obtaining water? JU: Fog are very small water droplets that the human eye does not see, it is a gas that contains it, when passing through the mesh it generates an obstruction which cuts them in half, that cut generates the drip and later to the tank. It is a trickling process that seems little, but the results have shown us that it is efficient. REC: Where has Nebulon been implemented? 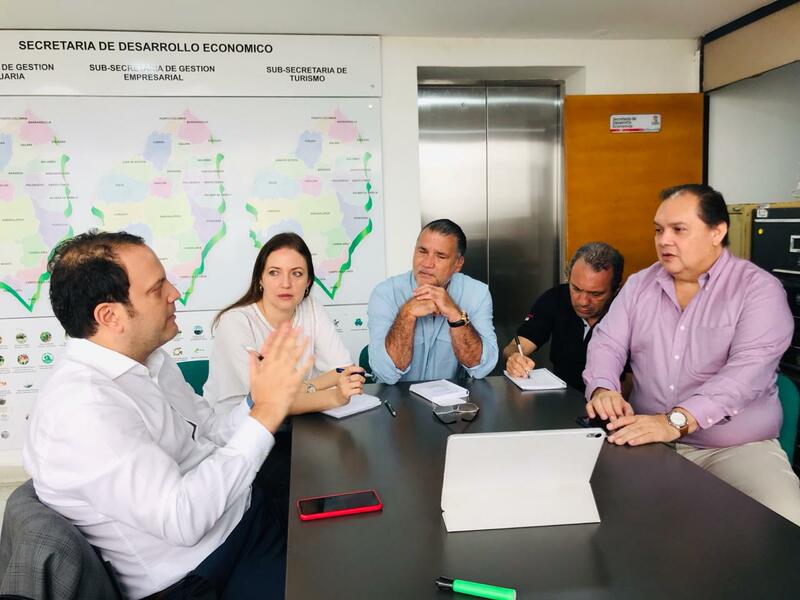 JU: It was implemented in Chipaque, Cundinamarca; La Belleza, Santander; and we are doing the consultancy to implement it in La Calera, Cundinamarca. The consultancy consists of carrying out preliminary tests that allow us to determine if a Nebulon could be installed and how effective it would be. For this we use Nebulometers, which are instruments that allow us to take data from the environment, this system consists of two poles and a single face of mesh, with that we do the tests. REC: Have you thought of Nebulón as a business model? JU: Yes, we are in the process of being constituted as SAS, and in fact, the installation of the Nebulon in La Calera is for a client, a man who knew our system and has requested the installation of this in his farm; now we are in the research stage to know how viable the project is in this area. The Chipaque and Belleza Nebulons were experimental and used for research processes that obtained very good results. REC: What services does Nebulón offer and what does it cost? JU: We offer consulting, installation and maintenance. The first one allows us to determine the conditions of the environment and gives us the number of Nebulons required to install according to the needs of the client; this process lasts 8 hours of study that can be done in two or several visits. The installation is the assembly of the Nebulons and the maintenance consists of the revision of the system to verify that it is working optimally. The consulting has a cost of $ 468,000, the installation of each Nebulon costs $ 650,000, this value includes materials and labor, it is important to note that in some cases it may require several nebulons according to the needs of the client and the maintenance has a cost of $ 40,000. However, if any change is required, the piece or additional material must be assumed by the client. It is suggested that maintenance be performed every two months; the structure is checked for stability, the mesh fixed, so that the wind does not break it. REC: Who did you develop this project with? JU: Alone, although I’ve had the support of many people. For example, the university has given me advice on methodological issues and the teachers have given me guidance, for example, to determine the costs to be able to offer Nebulón as a product. REC: What do you consider to be the most important results that the investigation with Nebulón has given? JU: First of all, that the system is a good alternative to obtain water. It is an instrument for rural areas that is feasible and that can replace the functions of an aqueduct. Having a Nebulon is to have an easily accessible supply system, which is beneficial for the environment, because we usually get water from rivers and springs and sometimes that generates pollution by the invasion of moors. Nebulon minimizes that risk and avoids touching the rivers. It gives people in rural areas the opportunity to have a better quality of life and generate economic progress, provides farmers with the necessary water for crops or animals, as well as having liquid suitable for consumption. REC: What do you dream happens with Nebulon? JU: That it be a system that is installed throughout the country and meets the water needs of people, dream that also generate an awareness of other alternatives that exist for obtaining water. REC: What does Nebulón need? JU: To consolidate as an organization that, in addition to providing system service, conducts research and can determine innovative ways to obtain water. REC: What did it mean to participate and win RECON? JU: RECON has been an opportunity, many doors have been opened in government and private entities that allow me to explore and develop the idea of Nebulón as a sustainable organization. 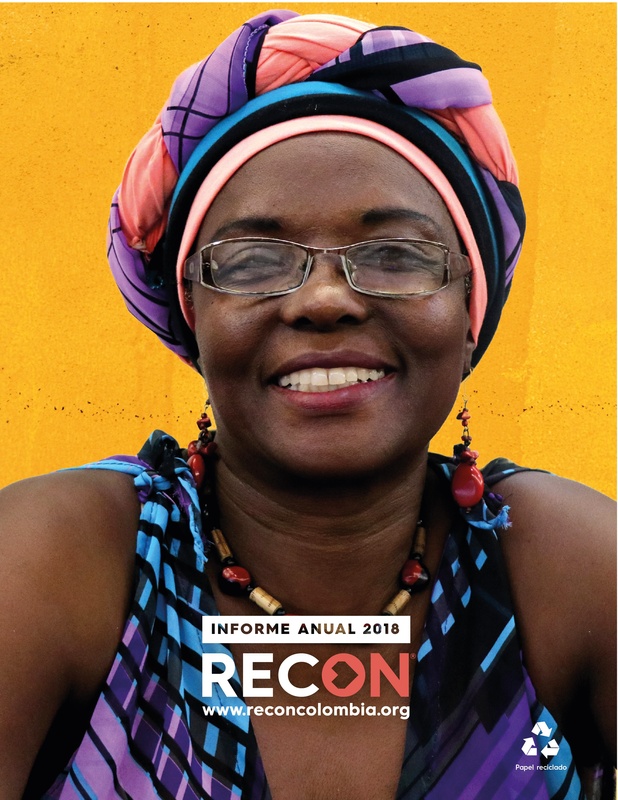 RECON was the first organization that believes in Nebulón, my project has had national and international impact and it has been seen in other countries. Thanks to this visibility I was invited to a conference in New York. REC: How do you define social entrepreneurship? JU: Social entrepreneurship is the key with which the transformation can be generated, with that key, changes are generated by undertakings that positively impact society. We have a great responsibility and it is to change the world with ideas. REC: What advice would you give to other social entrepreneurs? JU: That they believe in themselves, and that they focus on always having the victory in their heads, rising up in the face of failure, to know that we all have a purpose in life and in this world to fulfill. REC: How do you see the growth that Nebulón has had in the university? JU: They have Nebulón as one of the most important projects of the academy, it is a standard and we are always present representing the university. However, by winning RECON they were more interested in the project, they changed their view of Nebulon and that is because they see you as a winner.